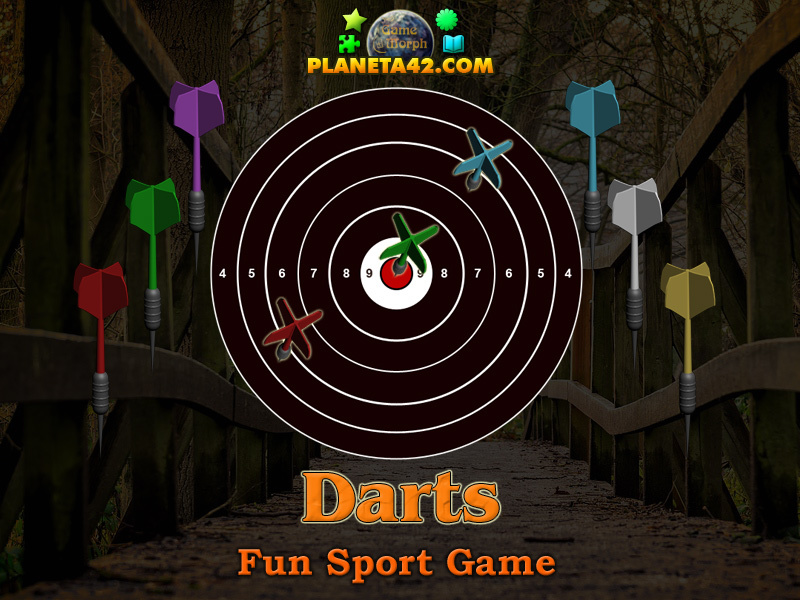 "Darts" is a free online sport game to throw darts and make 54 points. Press the dart button or hit spacebar. Sports learning game. Online darts shooting game. Program code by Ogo Bob. Pictures by Ogo Bob. This is a simple darts game. The board is devided in equal round areas, where the center area gives 10 points. You must throw 6 darts and make at least 54 points to win the game. 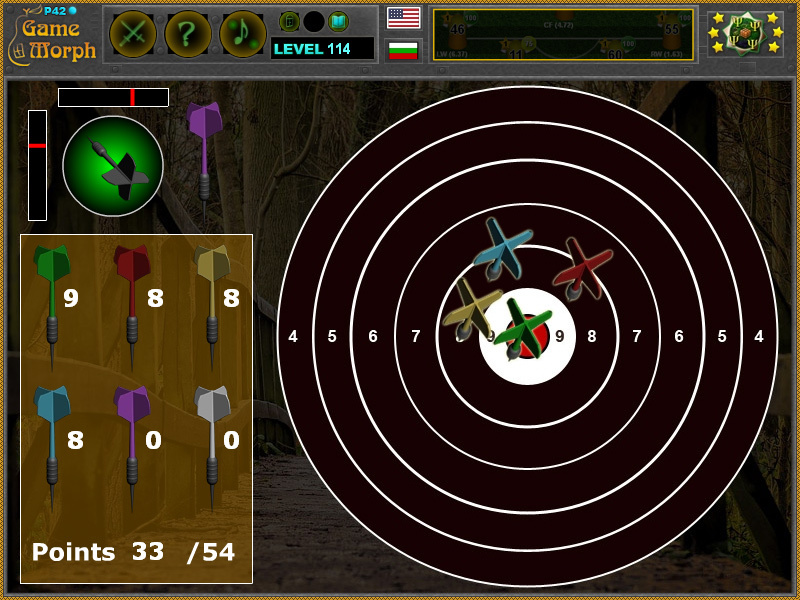 Throw the darts by pressing the round dart button or by pressing spacebar key. Know the simple darts game and win +1 Knowledge Level. Darts is a sport in which small missiles are thrown at a circular target fixed to a wall. Though various boards and rules have been used in the past, the term "darts" usually now refers to a standardised game involving a specific board design and set of rules. As well as being a professional competitive game, darts is a traditional pub game, commonly played in Britain and Ireland, across the Commonwealth, the Netherlands, Belgium, Germany, the Scandinavian countries, the United States, and other countries. Labels: Sport Games , Shooting Games , Throwing Games , Embodiments , Education Games , Free Online Games.